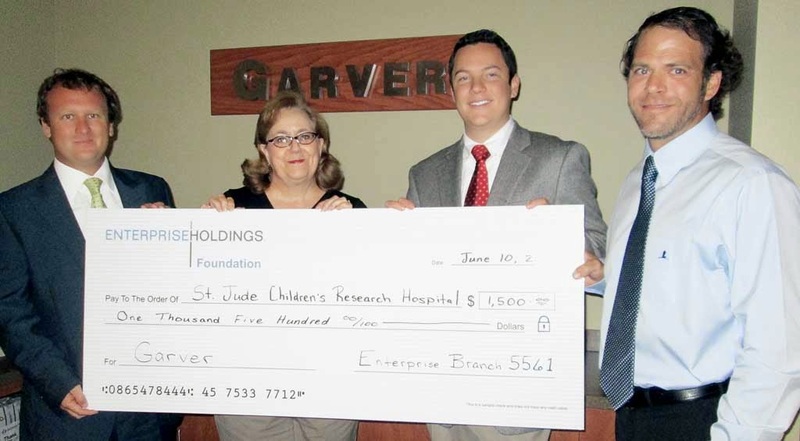 Because of Garver’s strong working relationship with Enterprise, the rental car company recently donated $1,500 to a charity of Garver’s choosing. While Garver works with a variety of charities, St. Jude Children’s Research Hospital in Memphis holds a special place in Garver’s heart as it’s the location where Transportation Team Leader Scott Leach’s nine-year-old daughter, Lakelee, is a patient. St. Jude’s mission is to advance cures, and means of prevention, for pediatric catastrophic diseases through research and treatment. Consistent with the vision of the hospital’s founder, Danny Thomas, no child is denied treatment based on race, religion or a family's ability to pay. Garver is proud to be a part of a working relationship that aids the mission of such organizations. 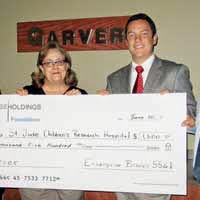 Thank you to Enterprise for giving us this opportunity to help St. Jude. We hope and pray for Lakelee Leach and all those children at St. Jude who are in a fight against cancer and other catastrophic diseases. Visit the hospital’s website to find out how you can help.